Finally, a place for young travellers in the medina! Experience with us the taste of an ancient culture. 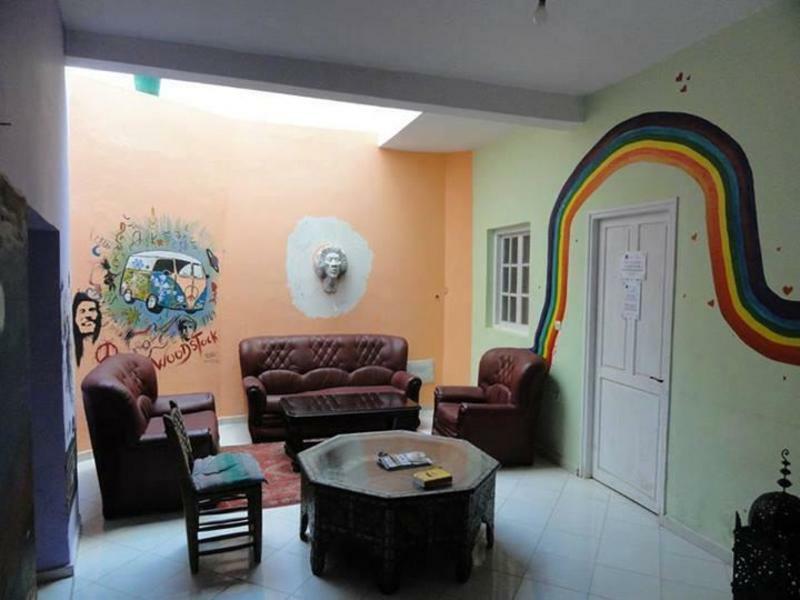 We are looking forward to greeting you, in our authentic Hostel, with warm smiles, exciting activities and loads of culture to discover even on a tight budget! 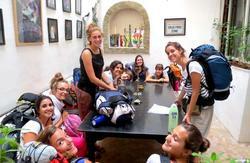 Wodstock Hostel will warmly welcome you into its dreamlike Hippie morrocan setting. We have beautiful, clean and spacious rooms as well as great breakfast. Our purpose is not only to provide you with a comfortable stay, but to give you the opportunity to discover the ancient local culture, its history and its people. We seek to bring people together and to contribute to global understanding, through the young generations. Along this ideal, you can enjoy a wide variety of activities, from workshops and trips. Through each, you will gain a unique perspective on the city, the medina of Essaouira is declared a UNESCO World Heritage Site), the local craftsmen and way of life in Essaouira. If you are on the run from stress, Woodstock is the right place for you. We have a big patio, three terraces and ensuite spacious rooms. The food we share here is as warm and inviting as the people. Lose the fear of differences and discover common roots and traditions. In our patio you can relate and relax with people from all countries and continents around the world. With the view of the medina from the top of our terraces you can let your imagination sweep you away to the enchanted tales of bebrer nights. Come to Woodstock hostel. We await your arrival! 2. 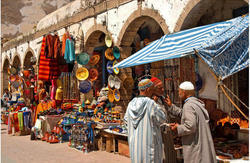 If you arrive at the supratours bus station, go to the Bab Marrakech entrance of the Medina. Walk through the gate and straight down Avenue Mohamed El Quori until you reach the arch. At the arch turn right and walk down Rue Souk Jdid until you reach the second arch. Keep walking straight ahead, through the arch, onto Ave. Zerktouni. Rue Ellabbana is the second street on the right, where the hostel is located.